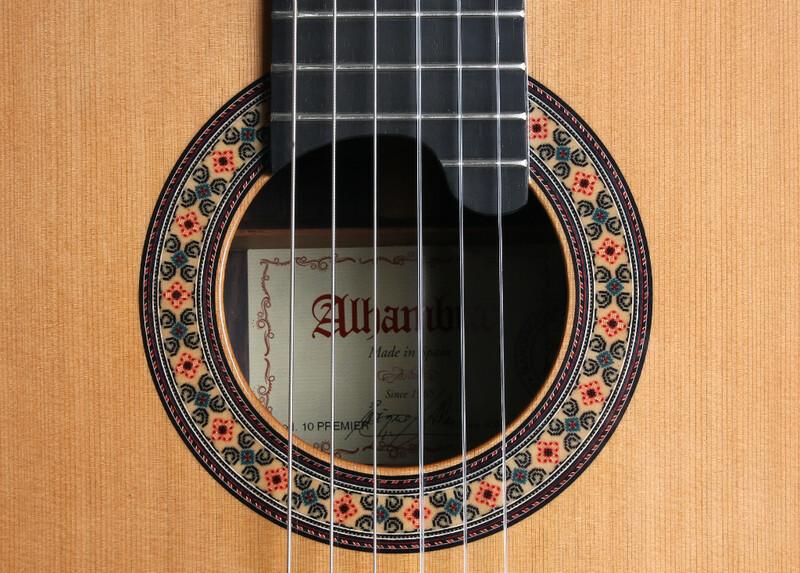 With the 10 Premier model, the Alhambra guitar craftsmen have applied the experience accumulated over the years in the development of classic guitars. From the 8 P model to the 11 P, the instruments are elaborated by a small group of artisans where, progressively, each model acquires more time of elaboration, design, and detail. The model 10 Premier has a bracing design that maximizes its volume and projection. 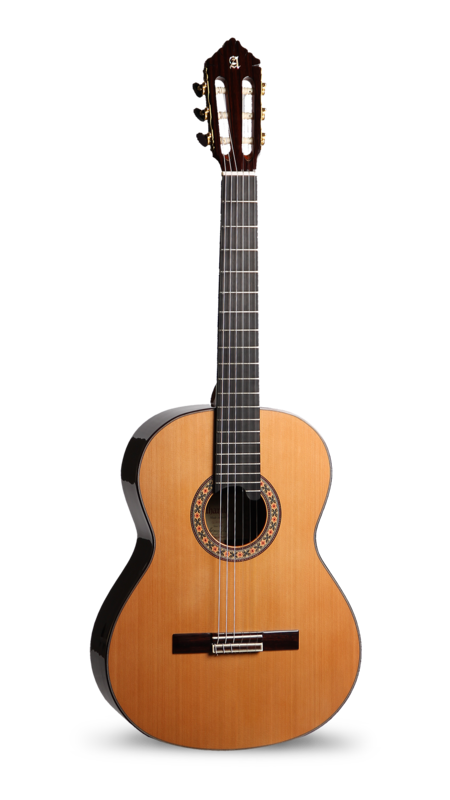 A sound with a perfect string height, high enough to contribute to the sound, but at the same time with just the right height to be extremely comfortable, which describes a guitar with incredible sound projection and well-balanced bass, medium and treble. A modern guitar designed for today's guitarist. The model 10 Premier by Alhambra Guitars is designed and crafted with details that increase the performance of this instrument. The finishes of this model show an important craftwork and a very refined image. Twelve holes in the bridge, bone in the saddle and saddle, a very efficient machine heads and a double line of green in the profiles, which provide the model 10 Premier aesthetic qualities, but at the same time comfort and good sound. 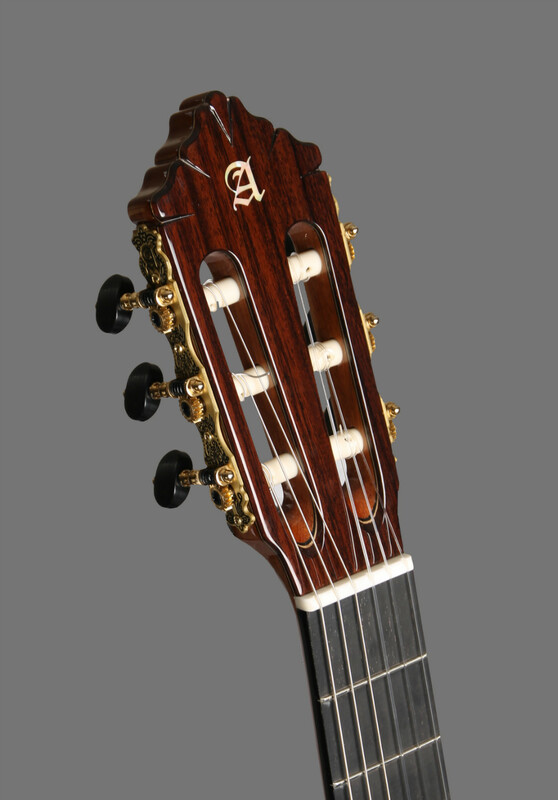 A design with the handle called "ergoneck", which contributes the comfort of the guitarist, and where the fingerboard is extended by the mouth of the soundboard to introduce the 20th fret. 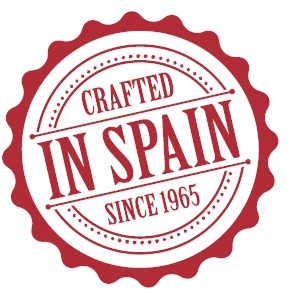 A design requested by the guitarists and the compositions of today. 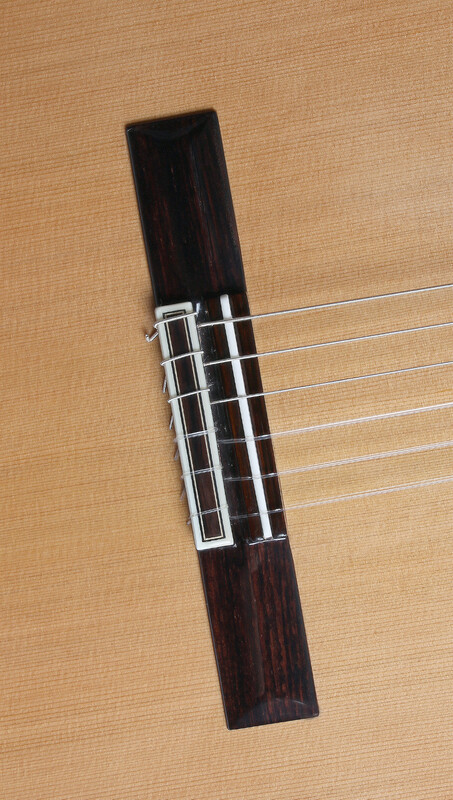 It is difficult to imagine all the possibilities offered by this instrument, where the sound quality of the first string is especially noteworthy. Definitely, a modern guitar to respond to the highest demands of today's guitarist.